This week has been full of Christmas fun. Dahlia, my daughter, loves having a tree in our house. She gets excited like it’s the first time she’s seen it every day when she gets home from school. It is so fun to watch. Yesterday they had reindeer come to their school and today Dahlia is going to a Christmas play with her Grandma. 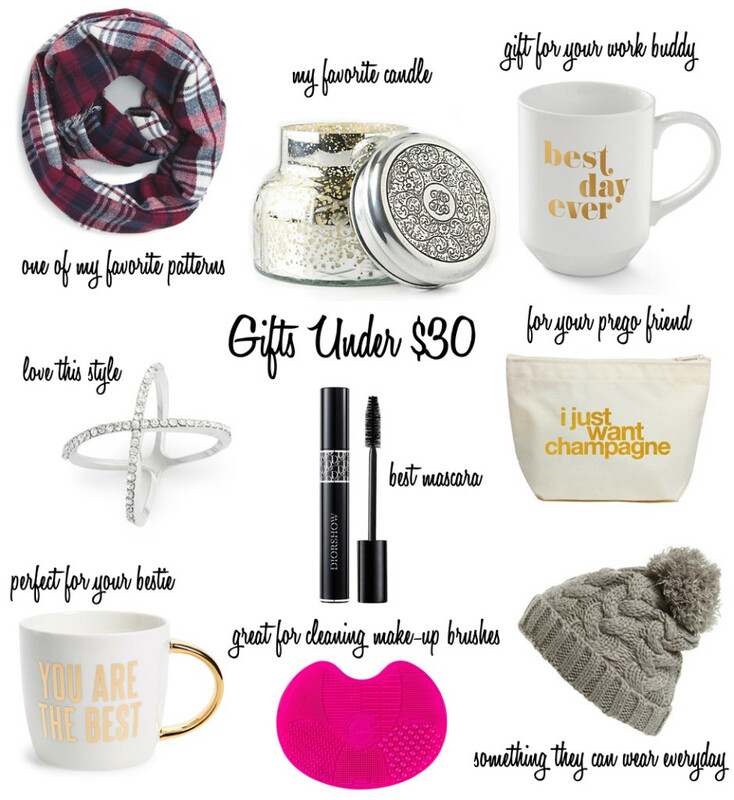 The list above is some of my favorite items under $30. I also included more things under $30 below. Here is a great list of things for men, women and kids under $25. Your daughters reaction to your tree is so sweet. I love that best day ever mug! What a fun way to start any day! 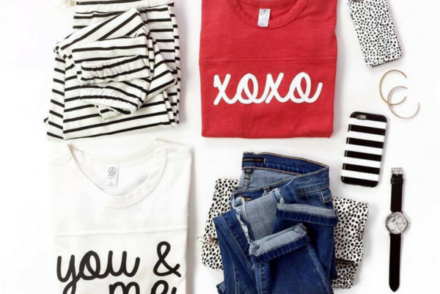 These are such cute finds! I am obsessed with that pretty candle! Ok I need everything on this list! Obsessed with that candle! I love the candle and the hat! So many great options! I’m a huge candle junkie and I have to say I’m obsessed with that one! love the cozy scarf and beanie! I have been on the hunt for one like that! The beanie is absolutely adorable!! We have a small fake tree in our house and even though we decorate it minimally I still love how festive it makes the house look so I can totally understand how excited your daughter must feel..
oh I love that makeup brush cleaning pad! Lots of great ideas! I love those mug, so cute 🙂 Thanks for sharing!